Consumers have an abundance of choice when it comes to deciding which brand to purchase. SmartProducts™ provide brands the opportunity to communicate with consumers at point-of-sale and influence their purchase. What will your brand tell consumers? 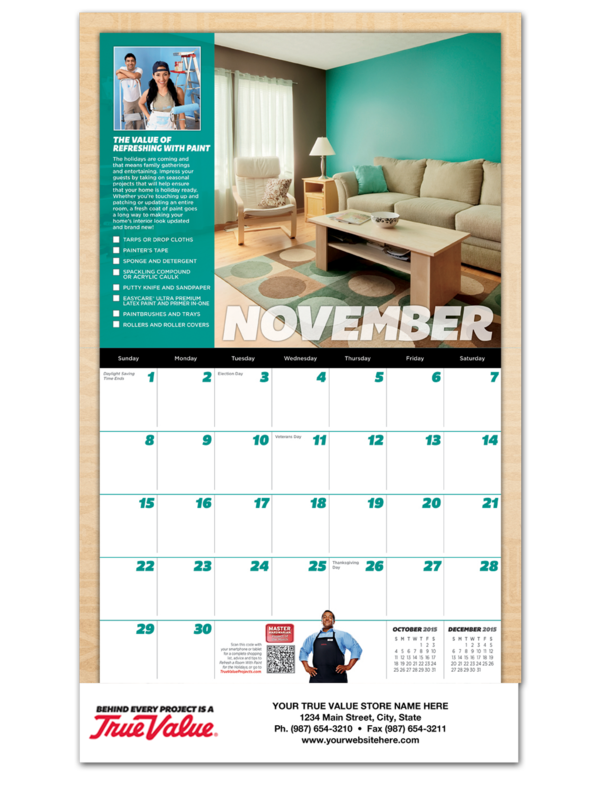 Calendars are a mainstay in homes (79%) and offices (78%) for recording special days and “can’t miss” appointments. They remain an effective time-tested promotional vehicle to advertise businesses and brands, create awareness for cause marketing and provide consumers with coupons to drive frequency and loyalty. SKM has made custom calendars even smarter by integrating digital technology to provide your consumers “real-time” content! 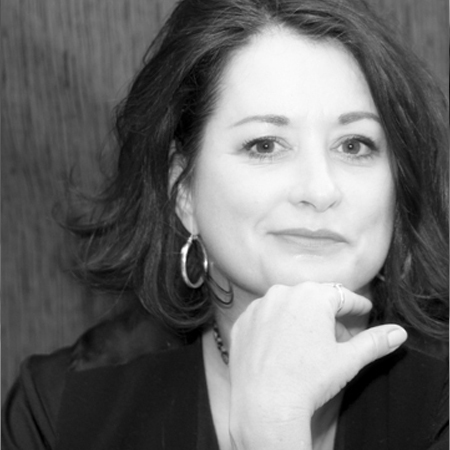 Content has become increasingly important in a consumer-centric world. It must be high quality, relevant and engaging. 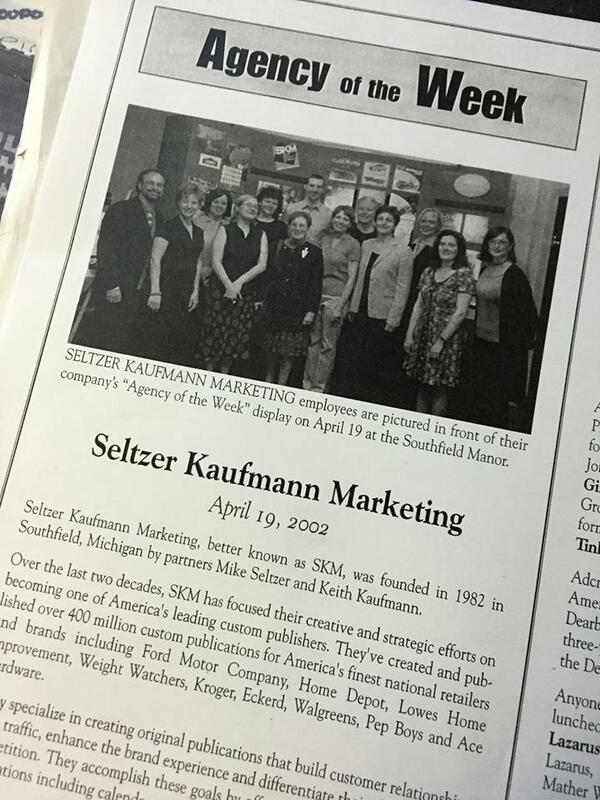 SKM has been producing custom magazine publications for nearly 4 decades. 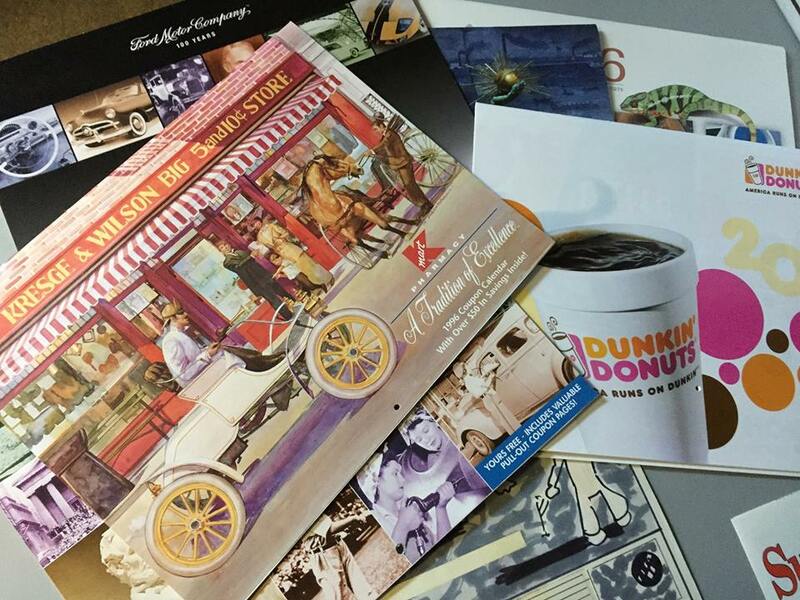 By integrating the power of digital into print, SKM delivers custom content and a custom experience to immerse consumers in your brand. 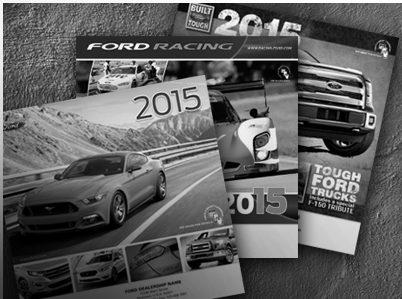 Assignment: This popular annual Ford-branded Calendar program is marketed to Ford Dealers as a promotional gift and incentive for showroom and service customers. The program offers Ford Dealers three custom designed themes to choose from based on their business focus and customer interests. For 2015, SKM wanted to enhance the calendar program with digital features to appeal to tech-savvy customers, and to add value and interest in the calendar program. SKM’s Custom Thinking™: By integrating digital technology, SKM introduced its first Ford SmartCalendar™ program. Customers load the free AR scanner App, then calendar photos identified as “digitized” can be scanned with a smartphone or tablet, bringing the pages to life! This appeals to mobile users, who account for the largest growing consumer base and are more likely to make a purchase•; It also provides consumers with useful information and an interactive experience to immerse them in the Ford product line. Month by month, customers have new opportunities to reveal real-time content, videos, 360° vehicle angles, product news, sign-up for Ford Racing’s newsletter, and more! 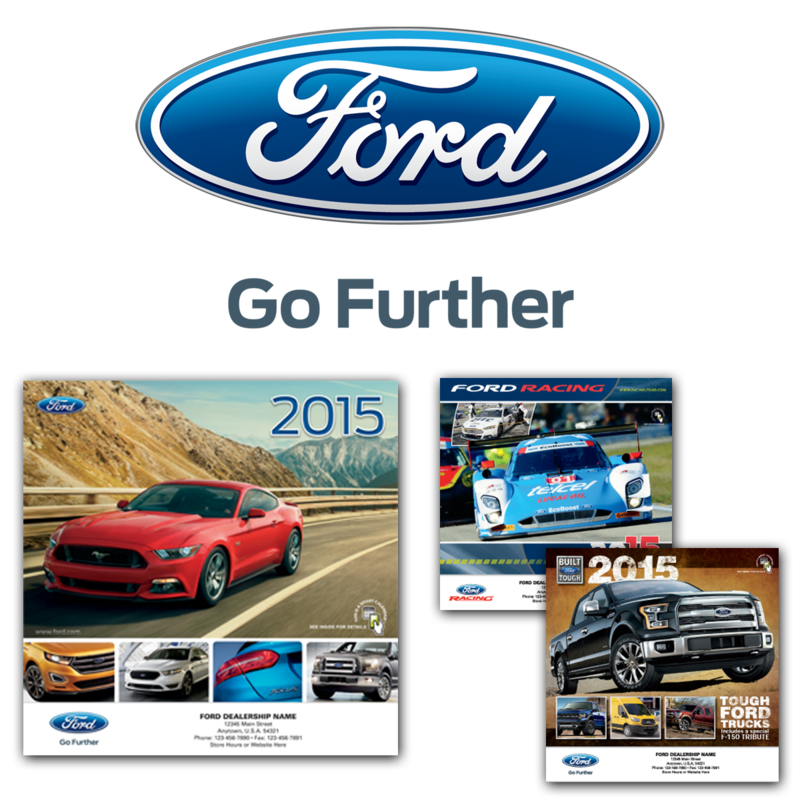 Result: In ample time for the 4th quarter holiday sales period, Ford Dealers received their 2015 Ford SmartCalendars™ to distribute to customers and vendors. Common feedback quote has been “Very Cool!” from customers and dealers alike! SKM is able to track mobile app downloads, calendar page scans and view statistics to measure overall program success. • 93% of consumers who use mobile to research products, move on to make a purchase; 6 in 10 auto shoppers research on a smartphone. 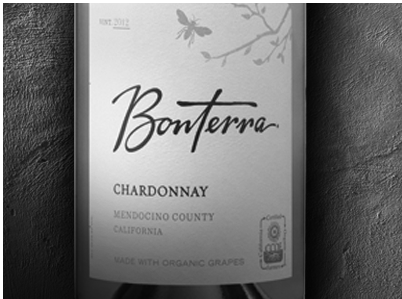 Assignment: Bonterra Vineyards wanted to create greater awareness of their unique earth-friendly winemaking practices. They were looking for new “out-of-the-box” ideas to engage wine consumers in the wine aisle and educate them on Bonterra Wine’s point-of-difference. 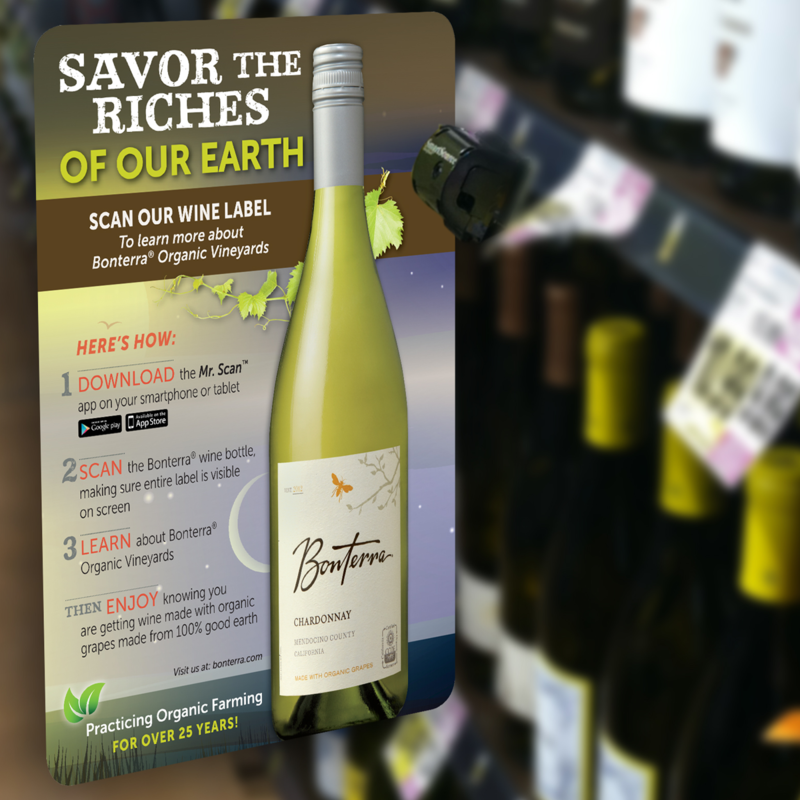 SKM’s Custom Thinking™: SKM responded with various creative concept ideas to integrate digital into Bonterra’s wine bottle labels as a key element to convey consumer messaging. 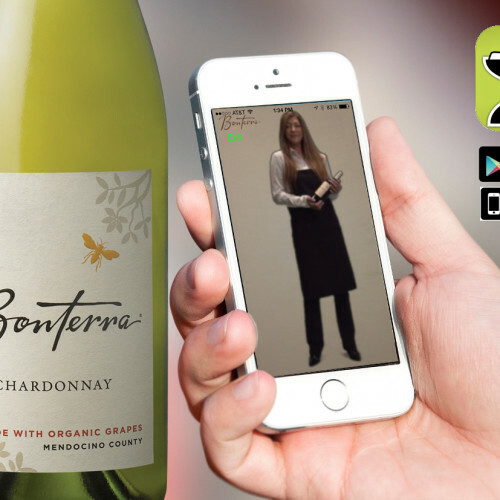 Smartphone users now have the ability to scan the bottle label to trigger a 30 second experience to learn more about Bonterra Wine from a virtual sommelier. 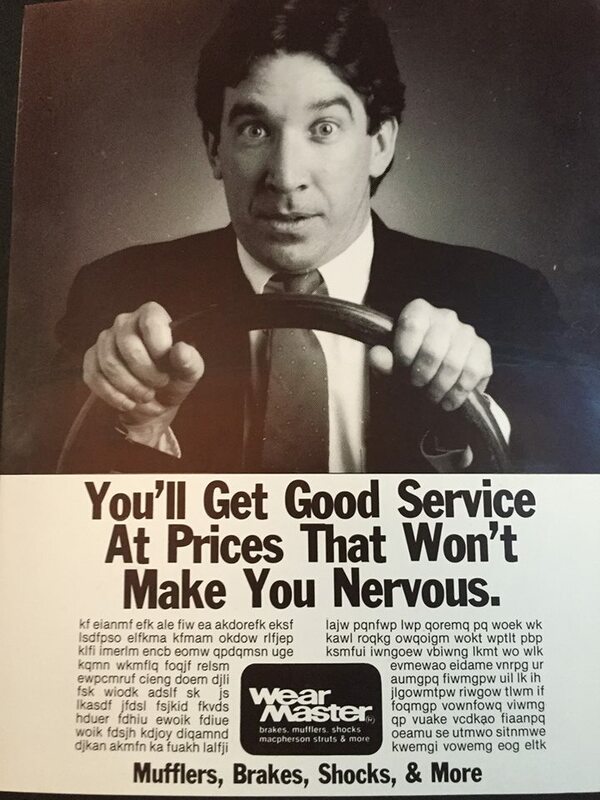 SKM also developed simple three-step ‘how-to’ consumer messaging for Shelf Talk and Neck Hangers at point-of-sale. Result: The program is planned to launch April 2015 at a national key retail account. Digital integration allows for tracking of number of bottle label scans and app downloads. 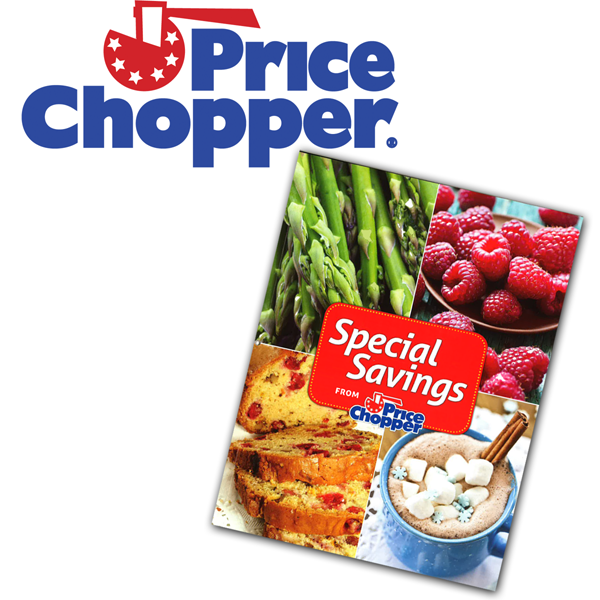 Assignment: Price Chopper wanted to provide their best customers a healthy lifestyle magazine containing engaging and useful content to reinforce loyalty with highly targeted offers to incentivize new product and private label purchases. 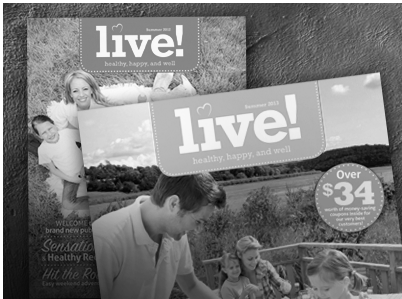 SKM’s Custom Thinking™: SKM created a high-quality 36-page family health focused magazine with custom content to appeal to shoppers who wanted to make healthier choices for their families. Articles focused on topics such as wellness, fun family activities, recipes with healthier ingredients and eating well tips for making better family meal choices. 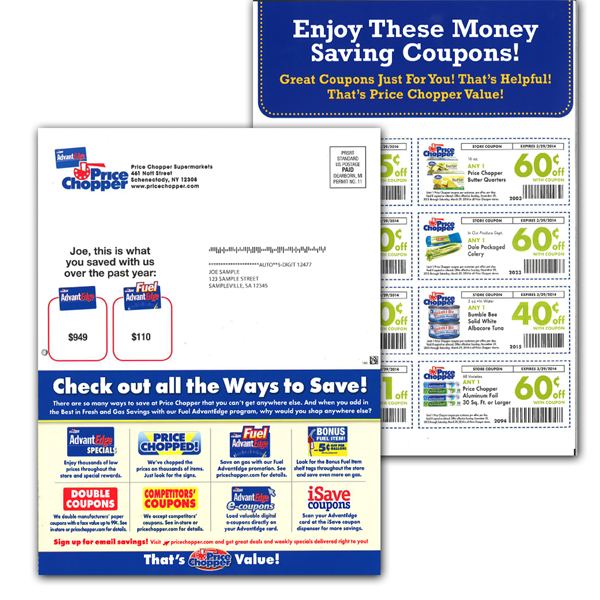 Magazines were mailed to Price Chopper Best Customers, and contained variable messaging and targeted coupons based on individual purchase history and frequency. 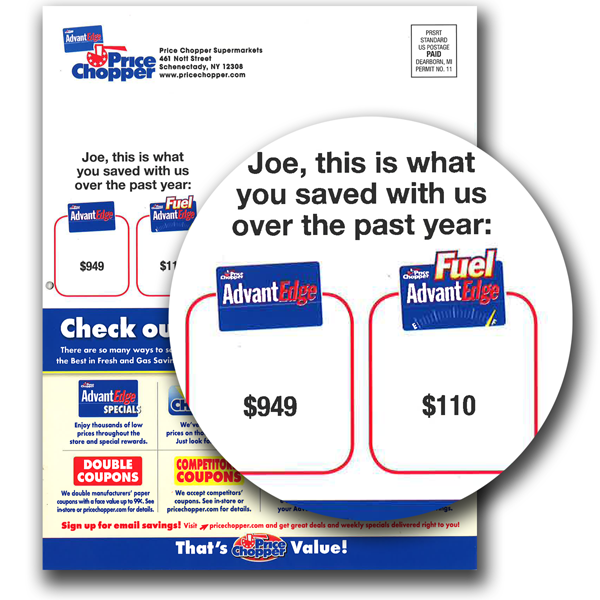 Result: This multi-year quarterly magazine program was a highly successful traffic-driving tool for Price Chopper. Clients: Top-Tier Franchises – Various sectors including Food & Beverage, Health, Grocery, Automotive, Hardware, Financial, Travel, Service Industries, and many more! 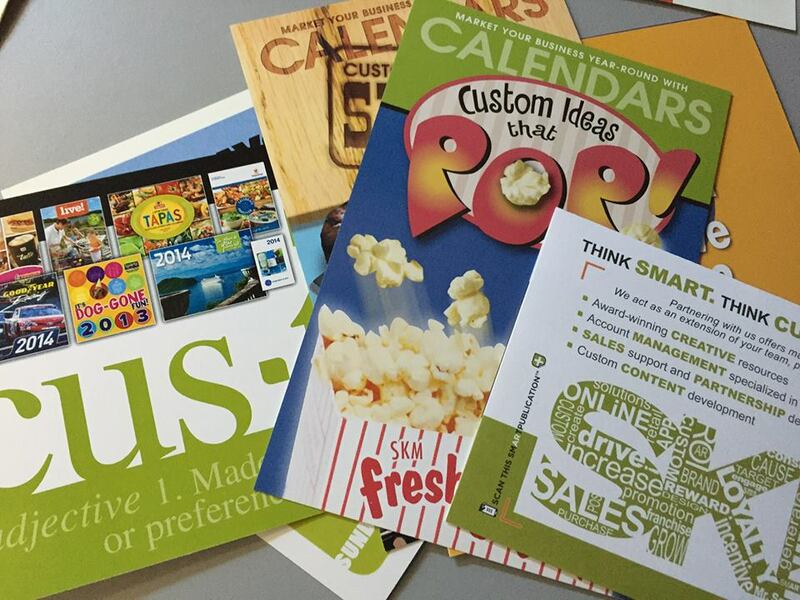 Assignment: Develop promotional marketing programs that leverage corporate brand equity to drive traffic, increase sales and build local customer loyalty. 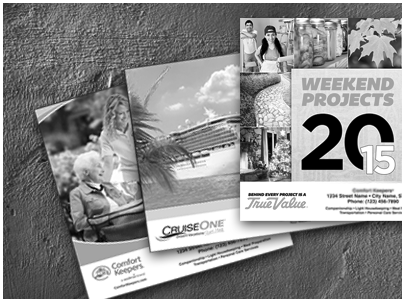 SKM’s Custom Thinking™: Knowing that printed calendars are time-tested mainstay in 79% of homes and 78% of offices, SKM is the leader in purely custom promotional calendars for franchise companies. 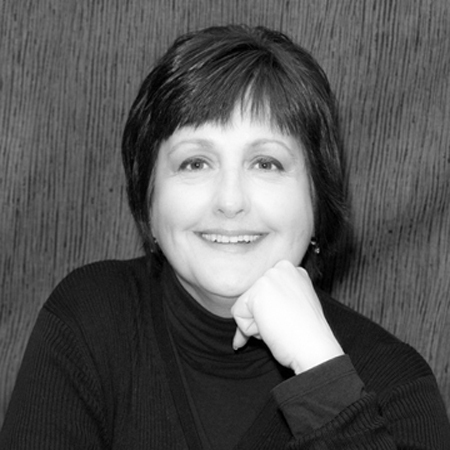 Every calendar program is approached with both the specific franchise business – and franchisee – goals in mind. 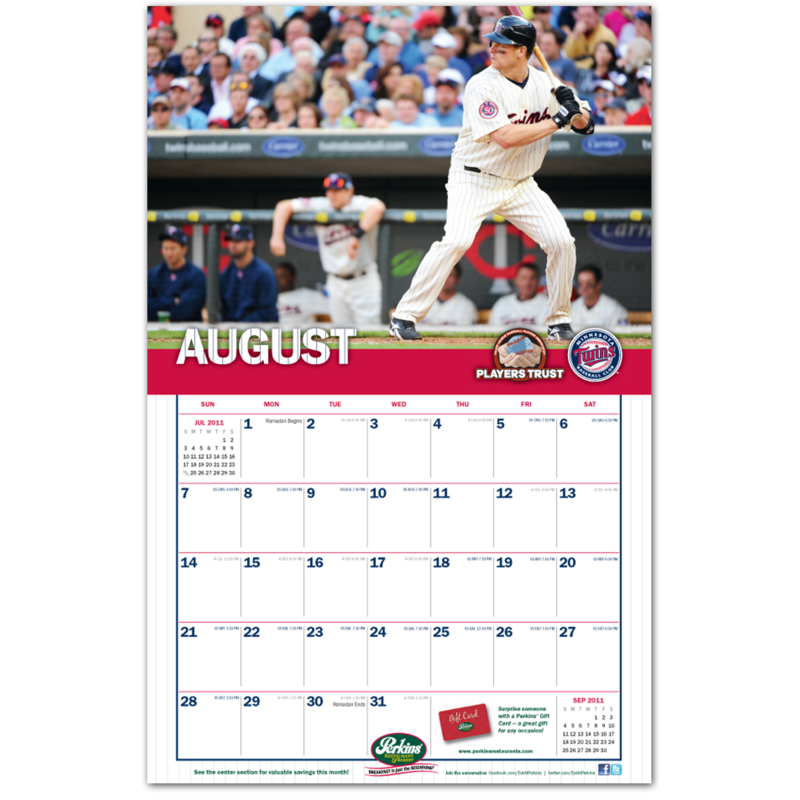 Calendars are the ideal choice for customer rewards, promotional giveaways, coupon offers and monthly promotional and seasonal content. The simple beauty of custom calendars by SKM are that they work hard throughout the year, despite the prevalence of smartphones, computers and other devices. Nothing else is so obviously in sight and easily referenced every day, every week, every month – no batteries or power source needed! 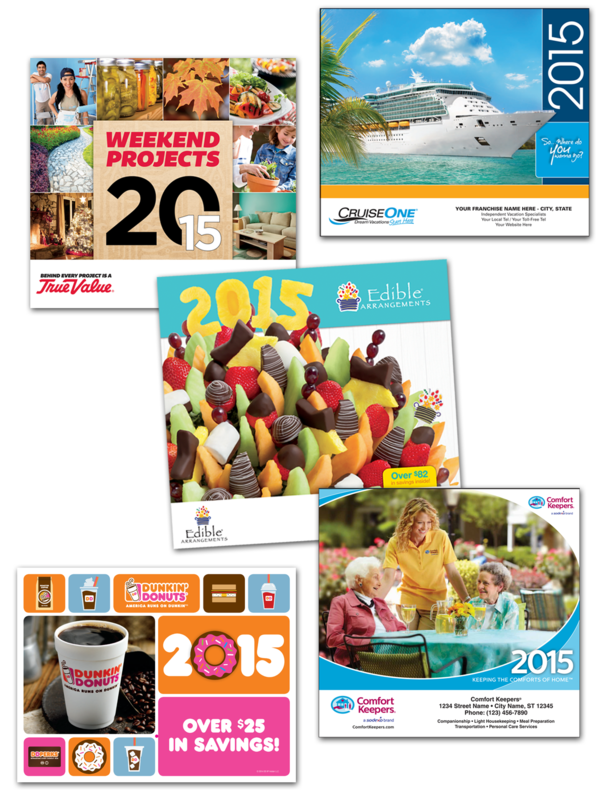 Result: SKM has produced well over 100,000,000 calendars to date and counting! Through smart and efficient planning, promoting, creative teamwork and service, franchisees receive and distribute attractive and functional calendars that work hard every day. 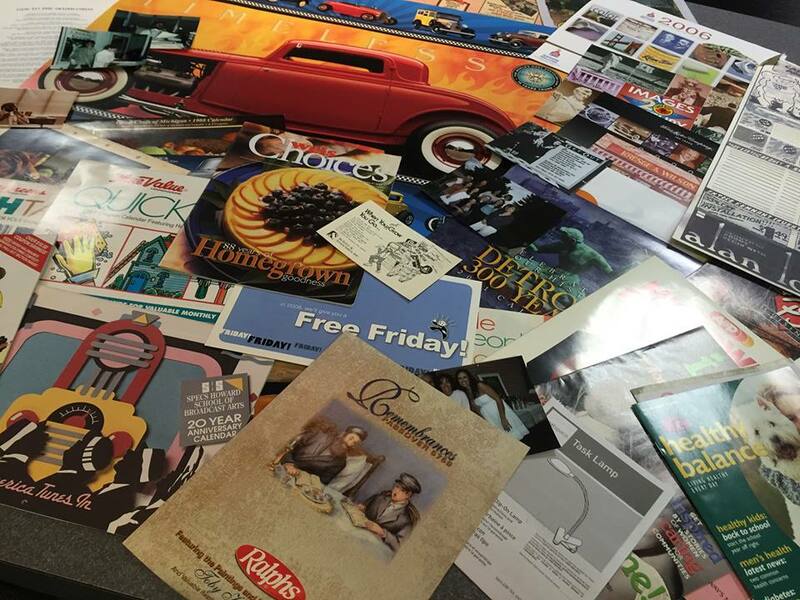 Year after year, some of the biggest brands in North America and beyond, rely on SKM’s Custom Thinking™ to create and manage promotional calendar programs to support their franchise-owned locations. Assignment: The IAFF wanted to create greater awareness of the work fire fighters do everyday, while helping fire fighters, paramedics, and their families in times of need following line-of-duty disasters. Through the IAFF Burn Foundation, they also wished to raise funds for burn treatment research, state-of-the-art medical procedures and the National Children’s Burn Camp to benefit some of the most vulnerable of burn victims. SKM’s Custom Thinking™: SKM combined and addressed these goals by creating the IAFF Burn Foundation Calendar and Holiday Card Program. Riveting images featured in the calendars were the winning submissions from the annual IAFF Media Awards Contest honoring photojournalism that portrayed the professional and dangerous work of fire fighters and emergency personnel in the U.S. and Canada. The holiday cards were custom-designed and illustrated specifically with upbeat fire fighter-themed holiday imagery. 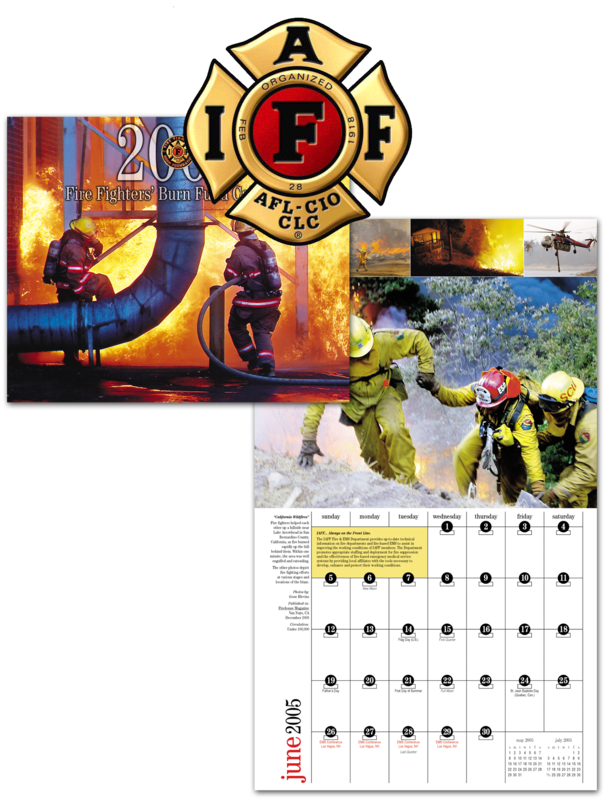 Holiday Card and Calendar purchases directly supported the IAFF Burn Foundation, while also working hard as promotional tools for Fire Fighter Locals’ public relations and fire prevention efforts. Result: SKM proudly produced and executed the IAFF Burn Foundation Calendar and Holiday Card Program exclusively for over a decade. 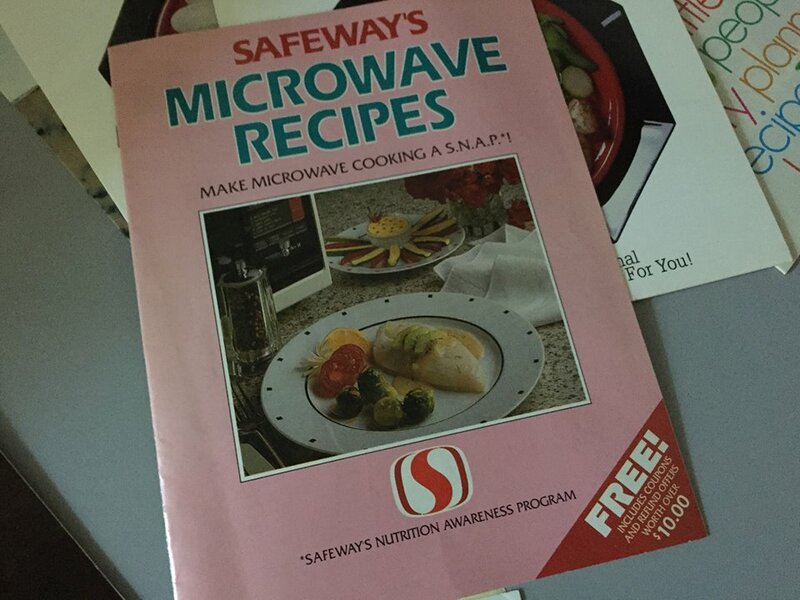 In that time, this popular annual program helped the IAFF Burn Foundation to award more than $2,000,000 in burn research grants. Assignment: Pep Boys, in partnership with Mothers Against Drunk Driving (MADD), wanted to increase awareness of the cause specifically targeting a critical audience: young male car enthusiasts”. 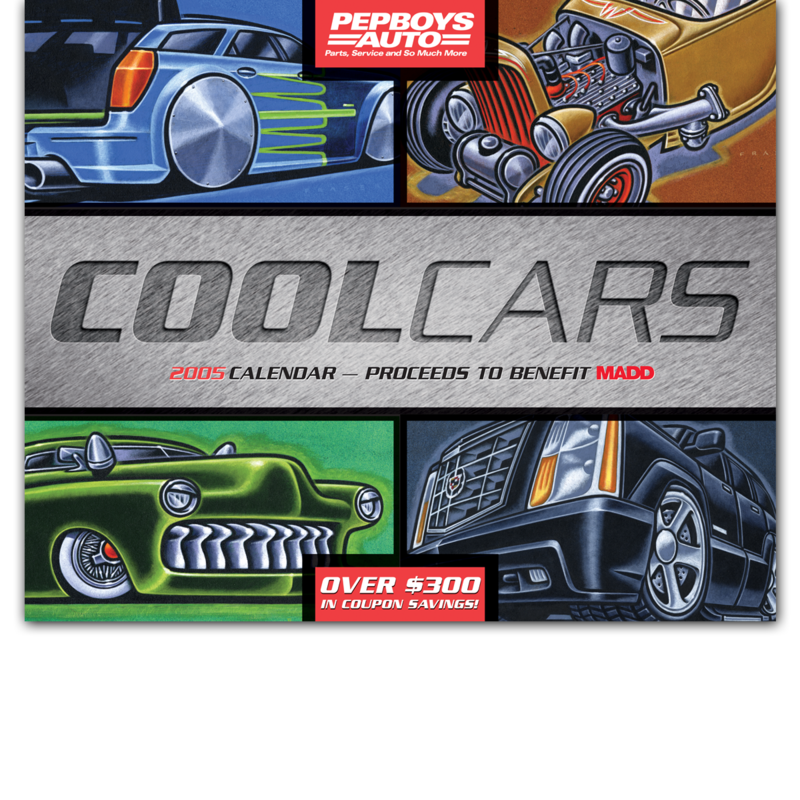 SKM’s Custom Thinking™: SKM created a “Cool Cars” custom calendar to raise funds and awareness while working closely with Pep Boys and MADD. 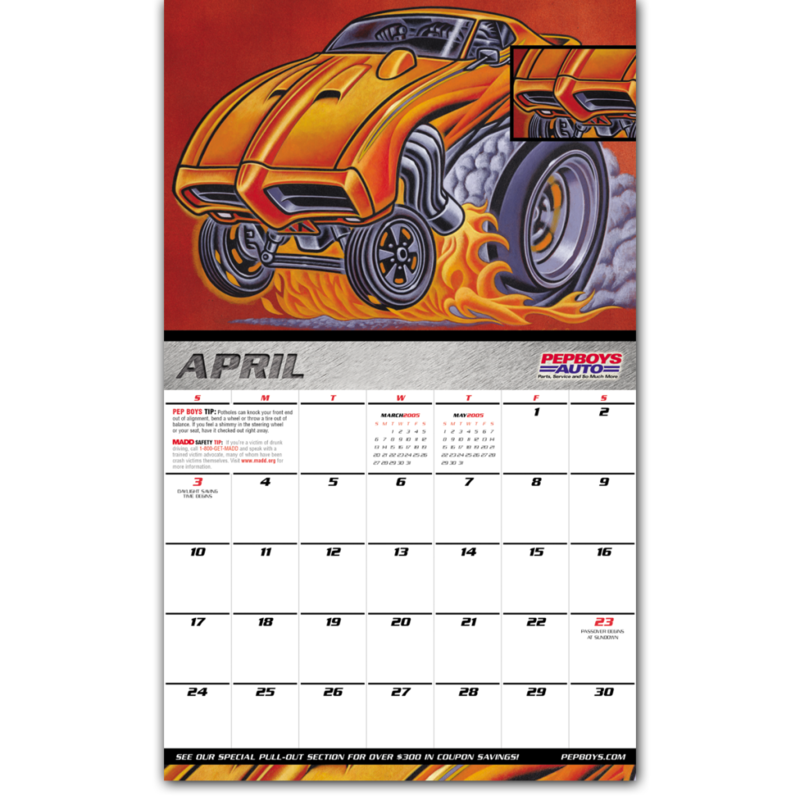 The custom calendar was filled with vibrant cool car illustrations and imagery, balanced with safe driving messaging throughout. A coordinating counter display merchandised the calendars in Pep Boys stores and included a suggested donation amount for customers. 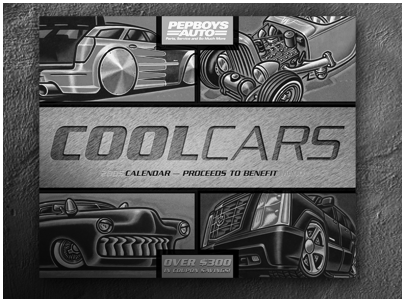 Additionally, monthly Pep Boys discount offers and coupons offset donation costs, giving this promotional piece a high-perceived value for customers while making them feel good about contributing to an important cause. 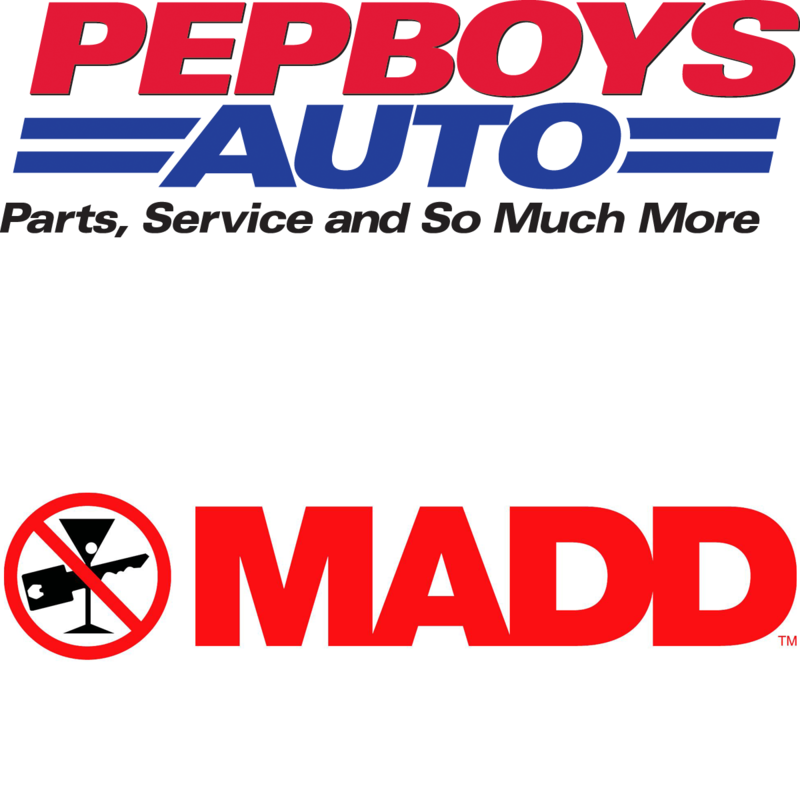 Result: Pep Boys raised over $300,000 with proceeds to MADD, making it one of their most successful fundraisers to date. 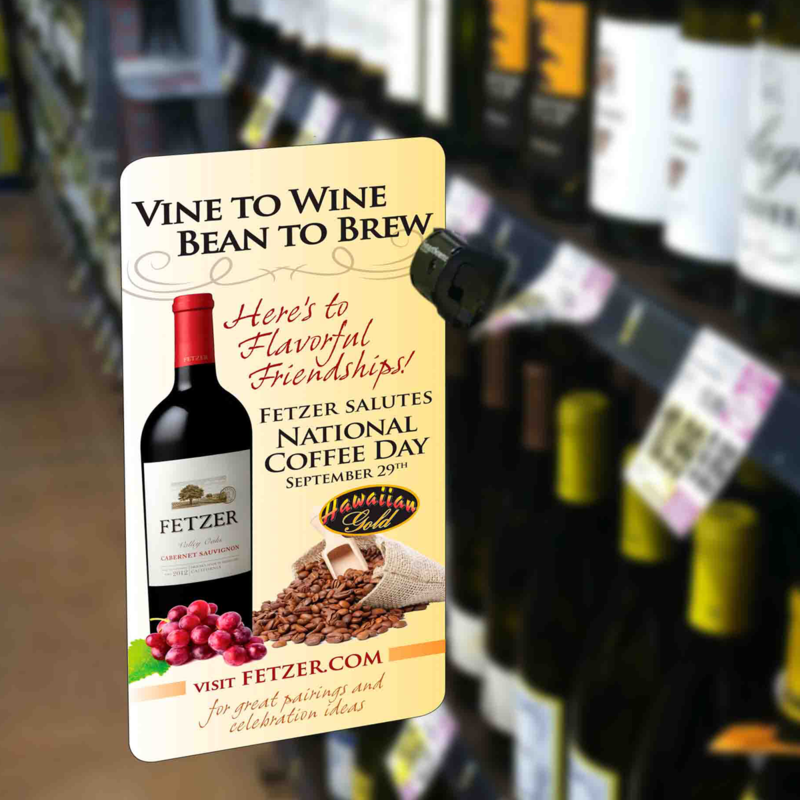 Assignment: Fetzer Vineyards, a top ten California wine producer, needed a coffee brand partner and consumer messaging for a National Coffee Day promotional opportunity at a key national grocery retail account. 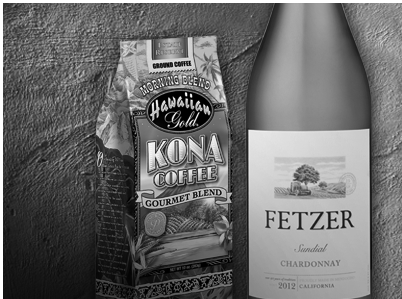 SKM’s Custom Thinking™: SKM was able to secure a partnership with Gold Coffee Company’s Kona Blend brands to provide consumer offers that incentivized purchase of both brands in celebration of National Coffee Day. SKM also developed a promotional theme that appealed to both brands, and designed and created a variety of POS materials to drive distributor, retailer and shopper excitement in-store. Result: The program increased volume at the key national retail account where the program was executed and raised consumer awareness. 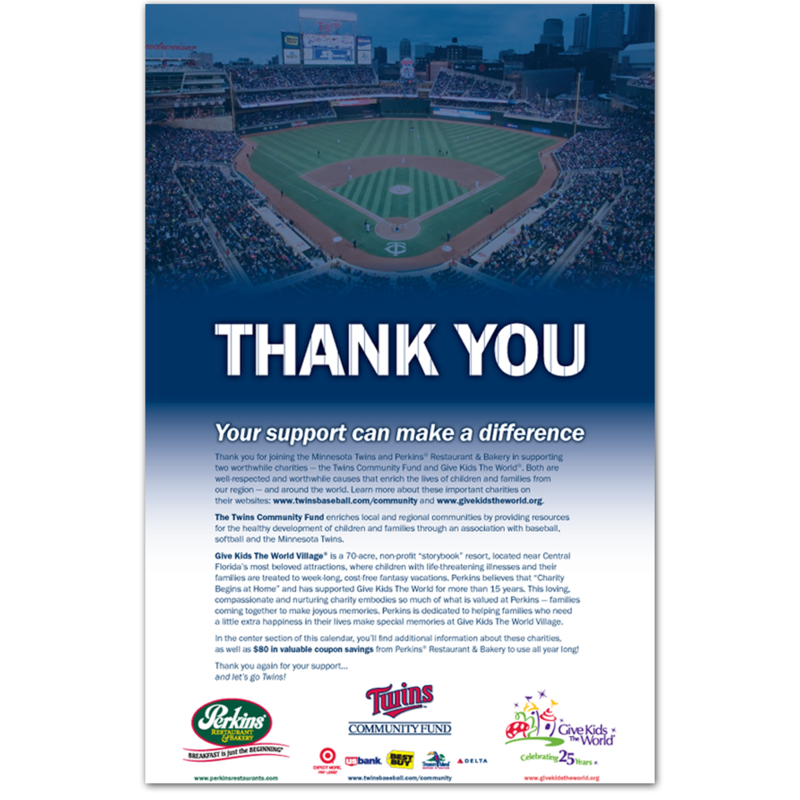 Assignment: In support of their sponsorship of the Minnesota Twins Baseball Club, Perkins Restaurants wanted to raise funds for the Minnesota Twins Community Fund whose mission is to help and enrich the lives of local children and families in the community. 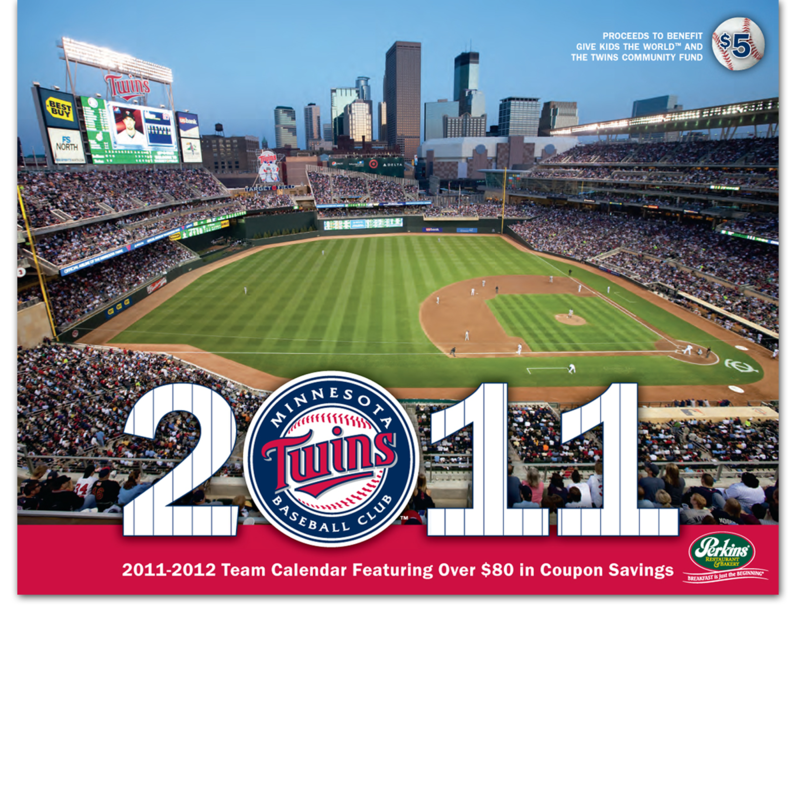 SKM’s Custom Thinking™: SKM created a custom co-branded Minnesota Twins Calendar that was sold for a donation at the ballpark on Opening Day, in Perkins Restaurants and at various community events. The calendar proudly featured team photos, a game schedule and messaging about the Community Fund to create awareness for the cause. Additionally, to add value and increase customer loyalty, a center pull-out section of Perkins Restaurants’ coupons was included. 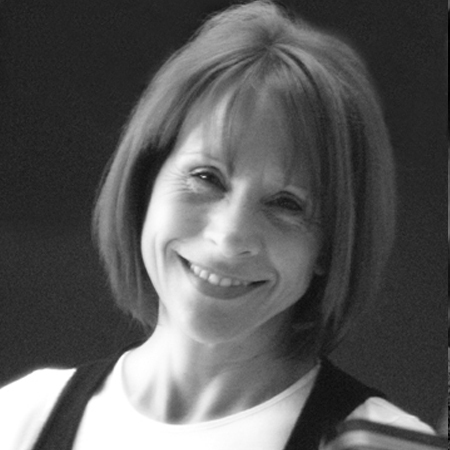 Result: Awareness of the fund grew widely, increasing donations to help local children and families. 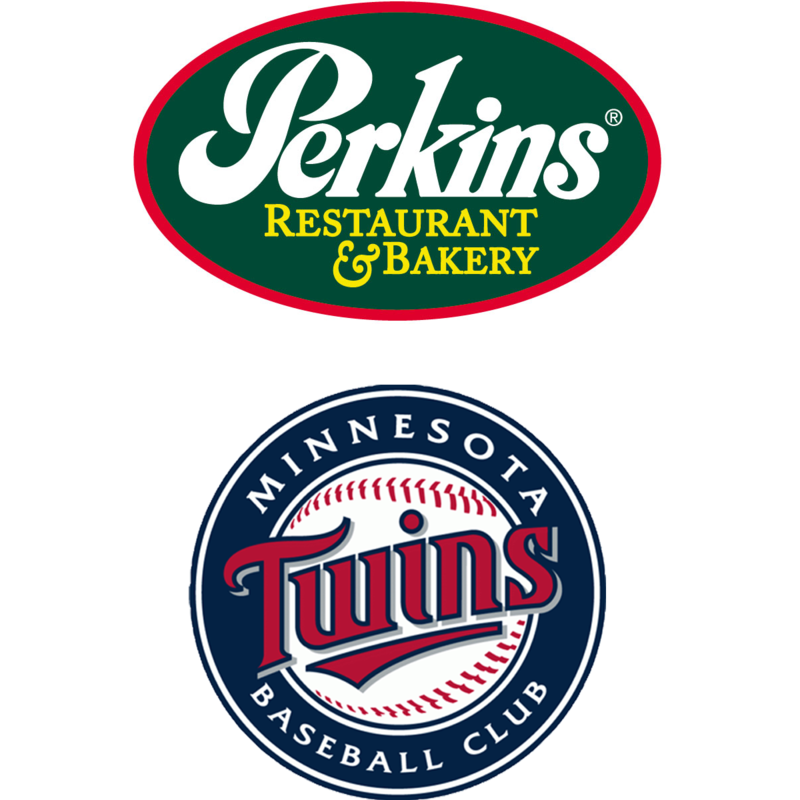 While both Perkins Restaurants and The Twins reinforced their commitment to the community. 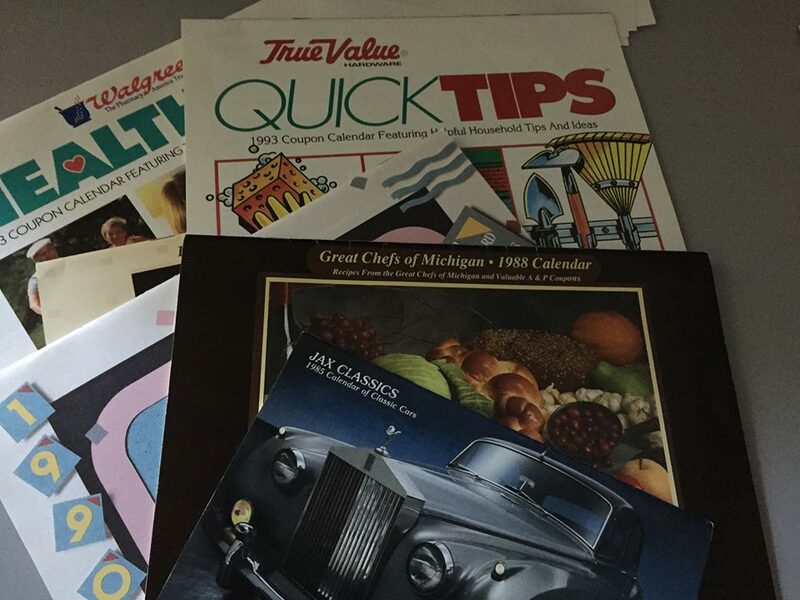 Assignment: Southeast Michigan Ford Dealers were looking for a way to create consumer awareness of their expanded dealership network and encourage getting drivers “back on the road”. 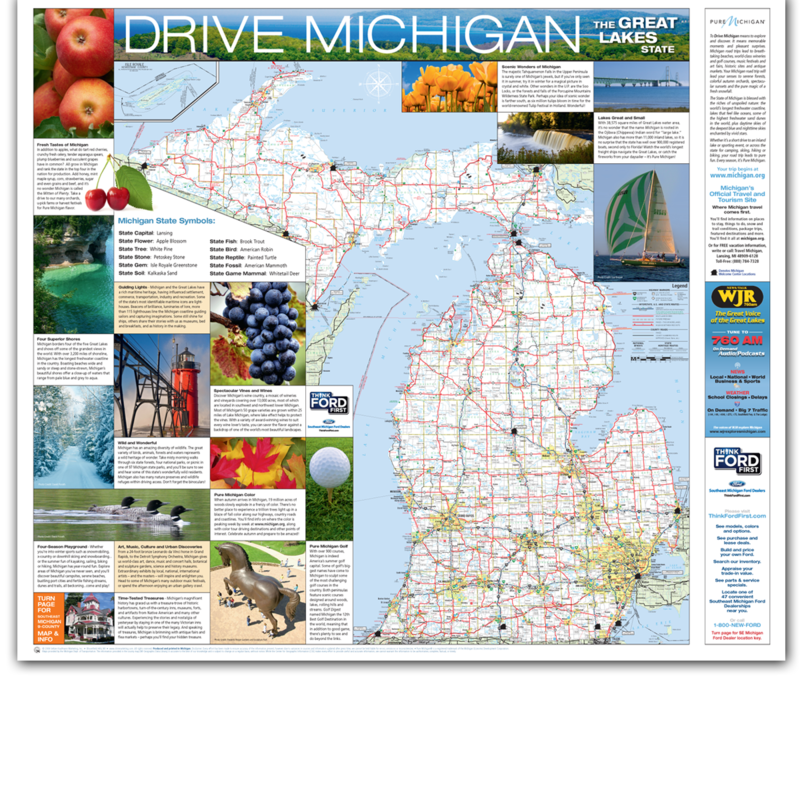 SKM’s Custom Thinking™: SKM created a Think Ford First Drive Michigan map as the theme solution, while developing a win-win partnership working with the State of Michigan in support of the Pure Michigan® tourism campaign that recently launched. 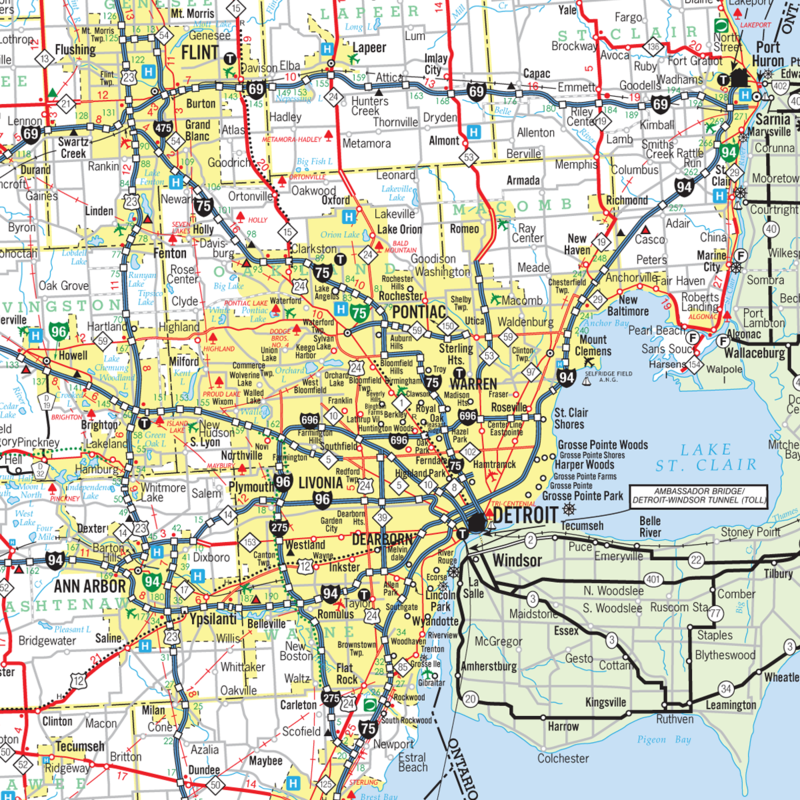 Ford branding and dealership locations were highlighted on one side of the map, while the flip side contained the state map encouraging consumers to plan a road trip to experience Pure Michigan®. 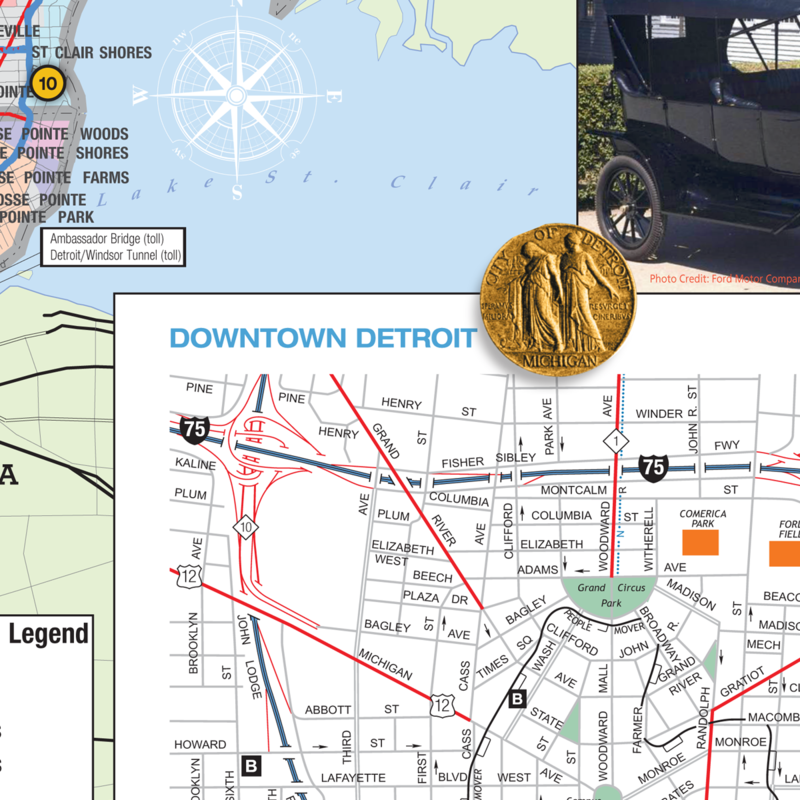 SKM was able to secure distribution channels that included The North American International Auto Show and all 14 Michigan Welcome Centers across the state. 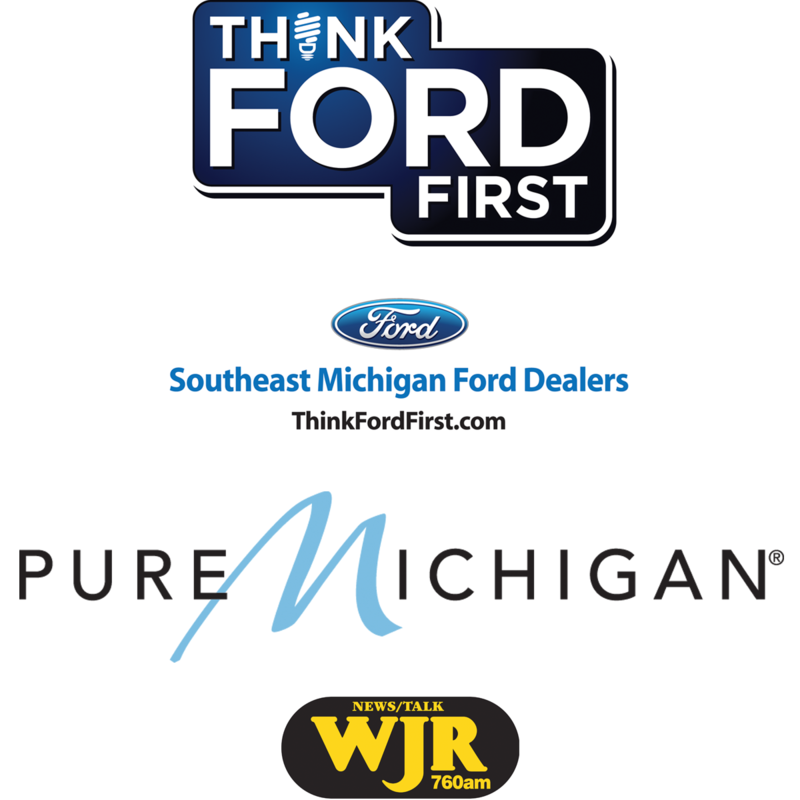 The program also received state-wide broadcast support from WJR Radio to create awareness of the promotion. Result: Winner of the 22nd annual Apex Award, “One-of-a-Kind Custom Publications” category, rewarding excellence in graphic design, editorial content and overall communications excellence. Assignment: This client wants to grow sales and increase awareness of their wine category by promoting the vast selection of wine brands and varietals in their stores. 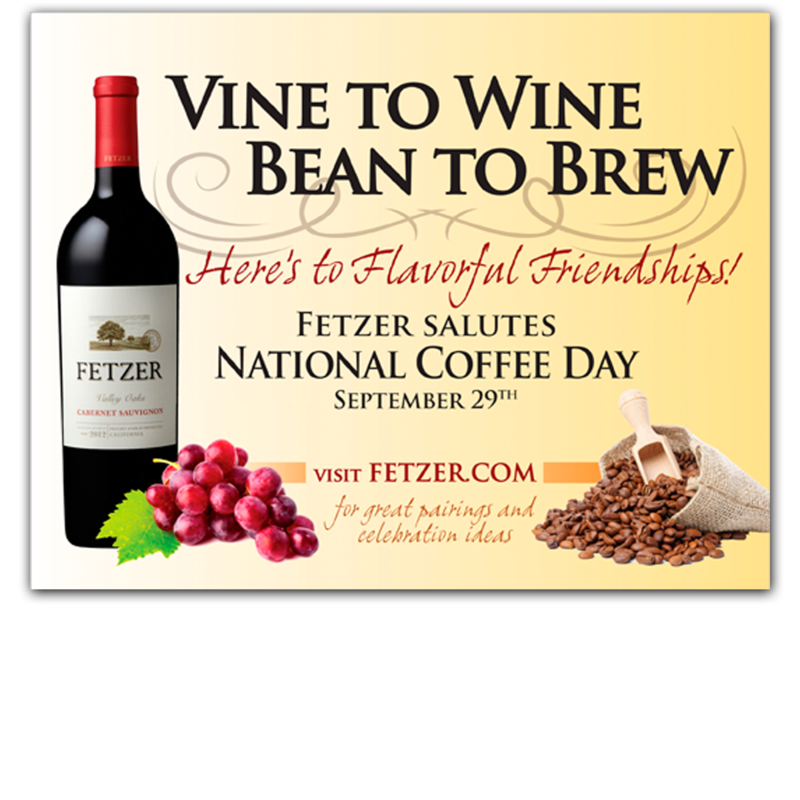 They also want to increase purchase frequency and generate customer loyalty among wine consumers. 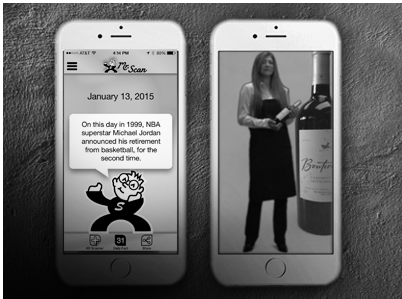 SKM’s Custom Thinking™: SKM created the Wine Selector mobile application to engage customers in-store and provide an interactive and educational experience. 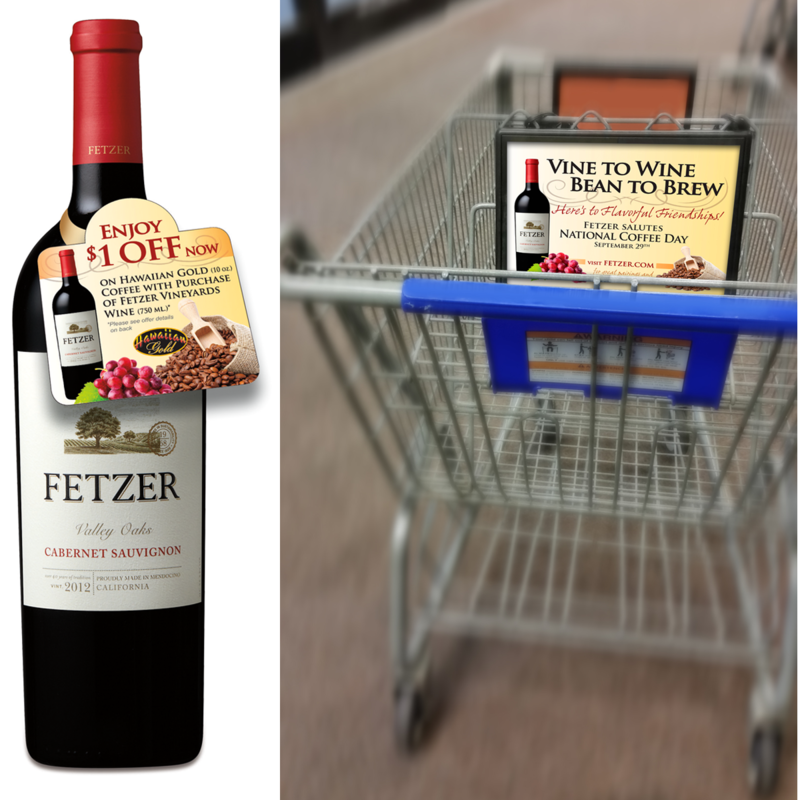 While shopping the wine aisles, customers are encouraged to download the app on their smartphones and scan POS signage to activate the Wine Selector. Customers can then utilize the app for meal planning. 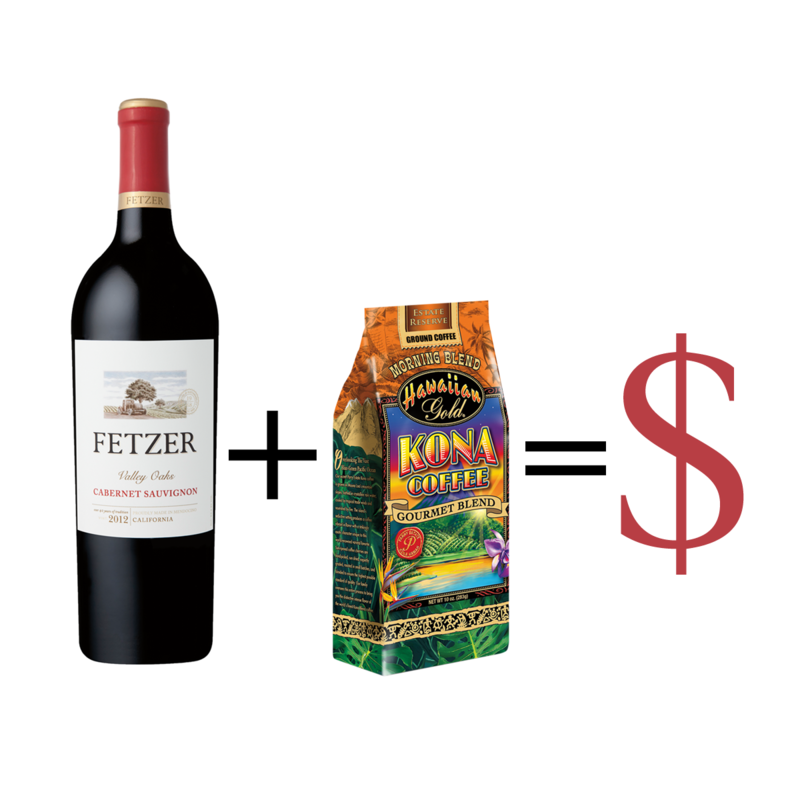 Recipe pairing suggestions are provided based on the customer’s wine varietal selection. 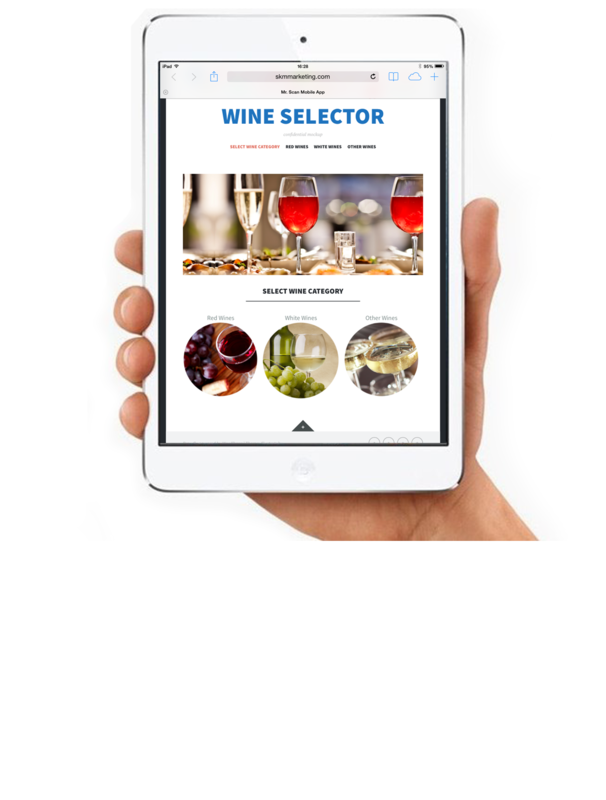 The Wine Selector also contains a library of seasonal recipes and provides a shopping list of recipe ingredients on the customer’s smartphone to check off as they place items in their cart. We “get” it, we do it, and we’re smart about it. 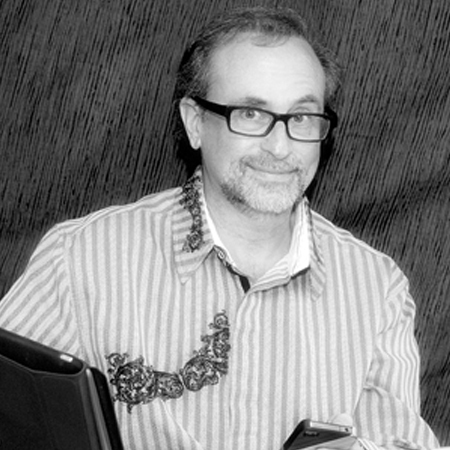 We research, write with flair and check it thrice, so it’s right! 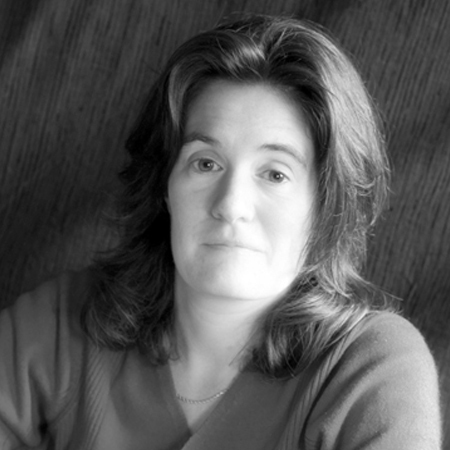 We’re experienced, motivated, multi-faceted collaborators. Technically, we’re tried and true…and tested too! Aptitude for apps, tuned to texting, moved by mobile & loving loyalty. Direct & indirect. We procure, adhere, track, check & follow up. 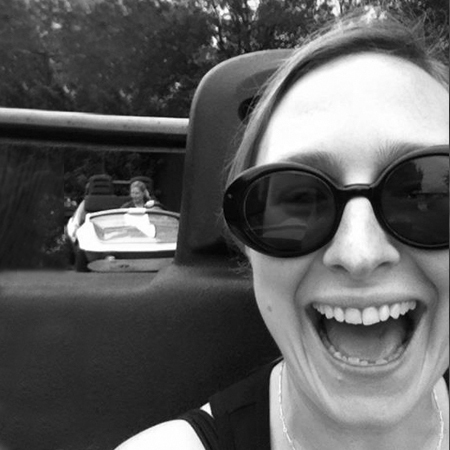 Satisfaction surveys, app analytics, review & recap, compile & reconcile…with a smile! 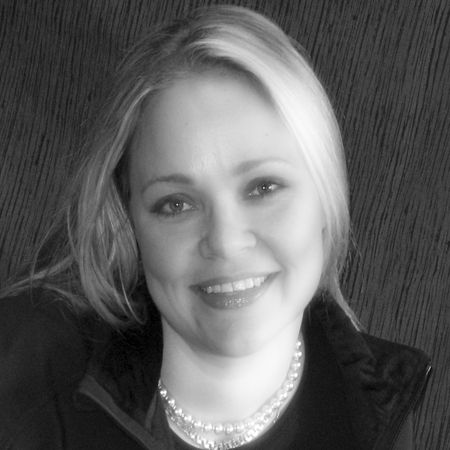 Let’s talk Smart Marketing… or should we say smarketing? 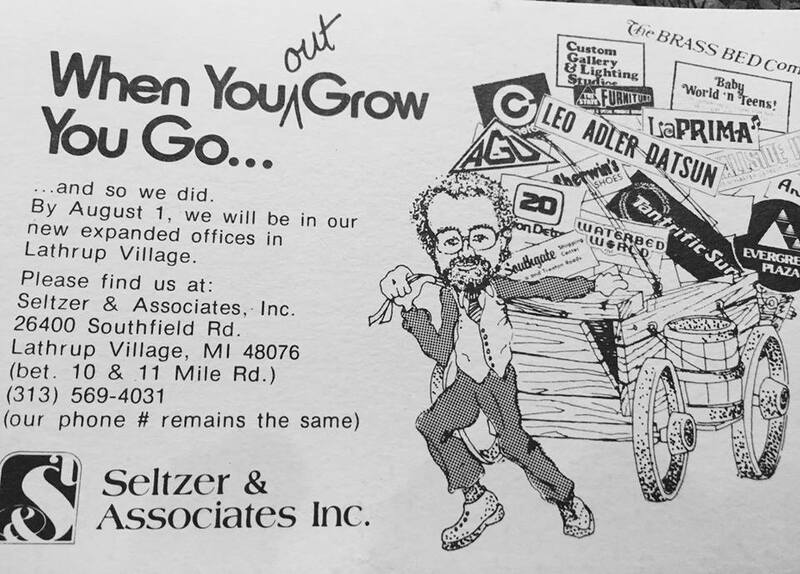 Back when the Bee Gees were Jive Talkin’, and everybody was Kung Fu Fighting, Mike Seltzer started his career in advertising. 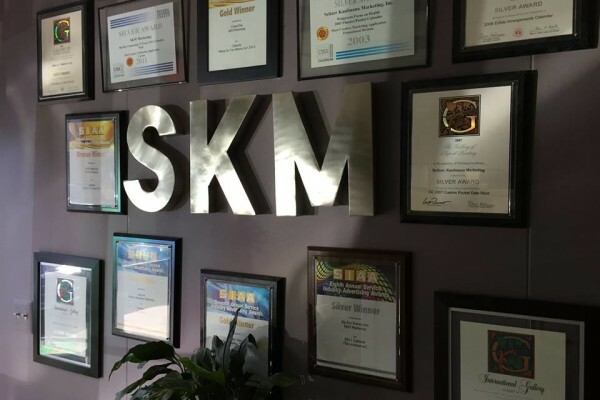 By the time Funkytown hit the airwaves, the forerunner of SKM was Born in the U.S.A.
Flashdance to more than 30 years later…SKM has since created successful marketing programs for some of the biggest and brightest brands around. 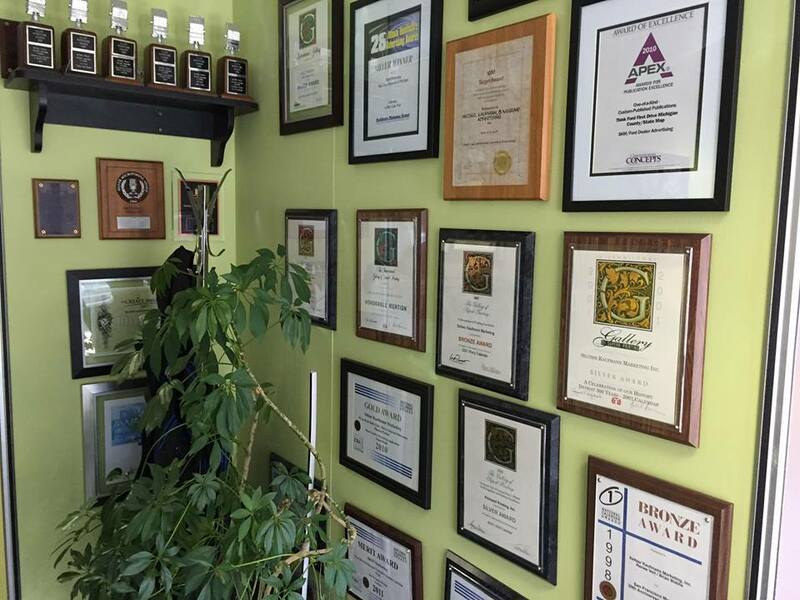 We aren’t just Talking Heads…SKM’s award-winning hit parade is attributed to fresh ideas, captivating creative and superior service… Nirvana to our clients! 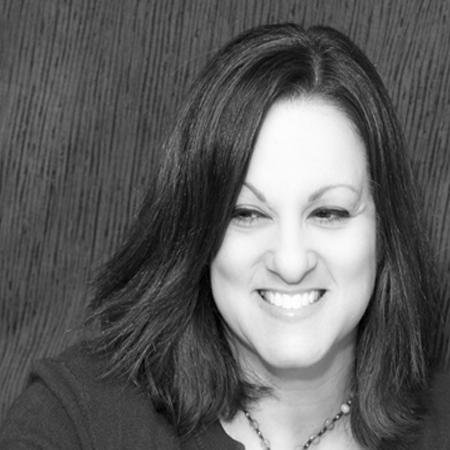 Today, your customers can choose content that’s specifically meaningful to them. SKM’s CustomThinkers™ deliver just that in print, digital and mobile platforms – all while channeling Quincy Jones and Jack White! We’re kinda like that… for marketing & custom content. Our team has generated some impressive numbers! We’re a dedicated and passionate team that works day-in and day-out to bring every client the most effective custom content for every project we do. 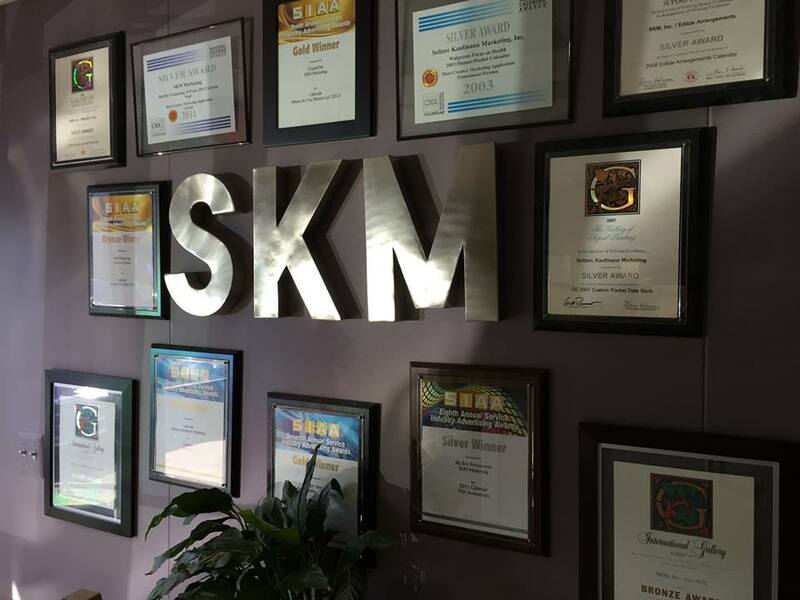 With SKM, you get custom thinking, custom creative, custom solutions, and not least…we really do put the CUSTOM in our customer service.